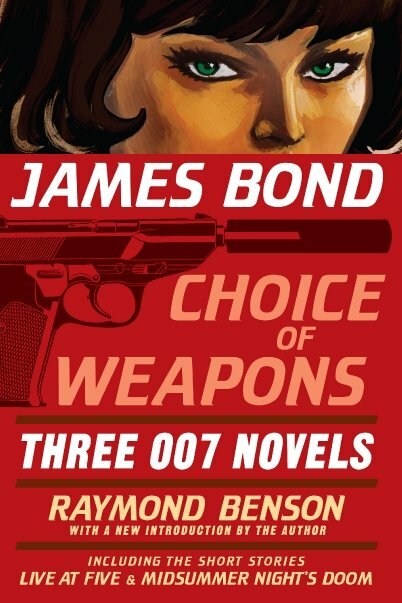 Cover art for Raymond Benson’s second James Bond anthology, titled Choice of Weapons has been released. It’s pretty much in line with the first anthology The Union Trilogy that was released last year. Choice of Weapons will include Zero Minus Ten (1997), The Facts of Death (1998) and The Man with the Red Tattoo (2002) as well as the short stories “Live at Five” and “Midsummer Night’s Doom”. 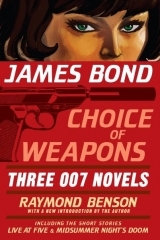 Choice of Weapons will be published sometime in the spring of 2010, though last we heard it could be in June.